All Is Well Between Beyonce, Jay Z? 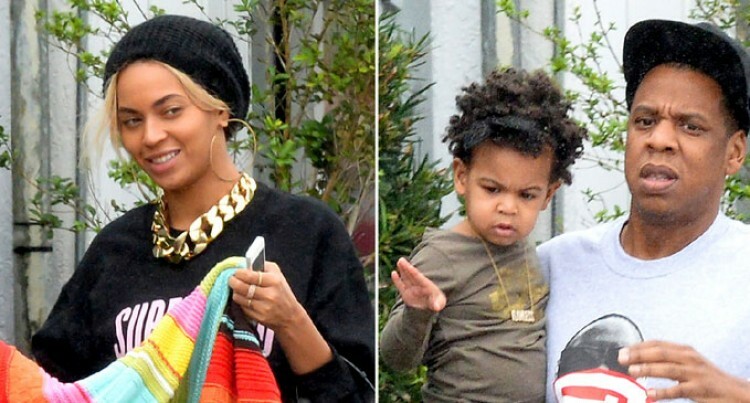 Beyonce (left), with husband Jay Z and daughter Blu Ivy. Singer Beyonce Knowles and Jay Z, who have been continually centered around rumours of a marriage crisis, looked happy and affectionate as they partied at Solange’s wedding. The 33-year-old looked happier than ever with her partner as they were caught partying Sunday night in New Orleans to celebrate her sister Solange’s nuptials to longtime love Alan Ferguson, reports dailymail.co.uk. Beyonce and Jay Z, who have been married for six years, couldn’t keep their hands off each other and positively beamed with happiness throughout the festivities.